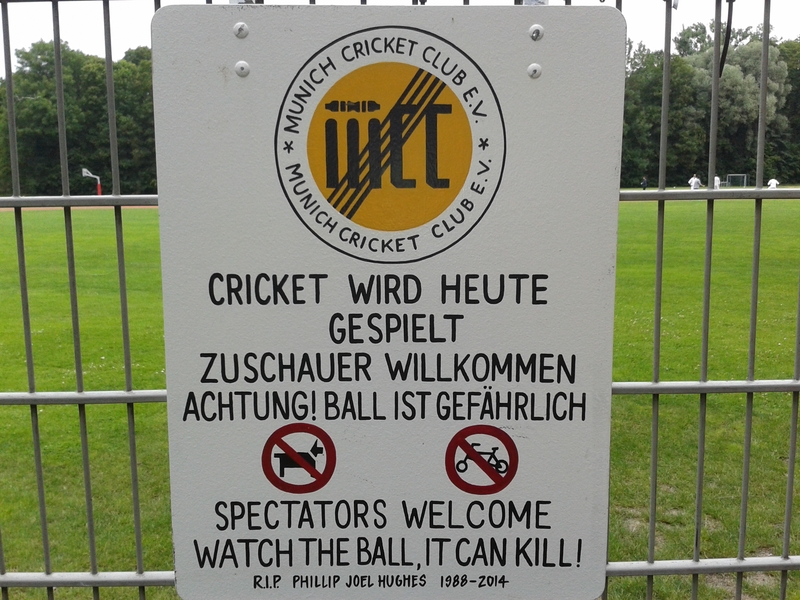 Anyone for Cricket in Munich? 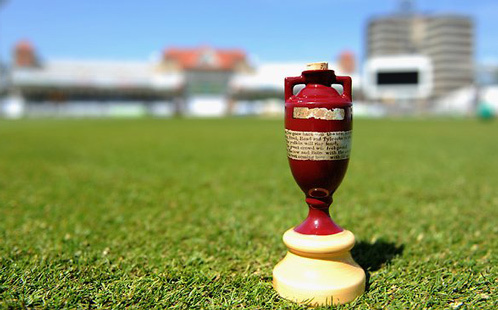 Less than two days to go now until The Ashes begin, and I suppose like you, we're very excited as always as the anticipation grows towards 11am on Wednesday. However, before it all begins, The Cricket Tier has been here, another shire and there. 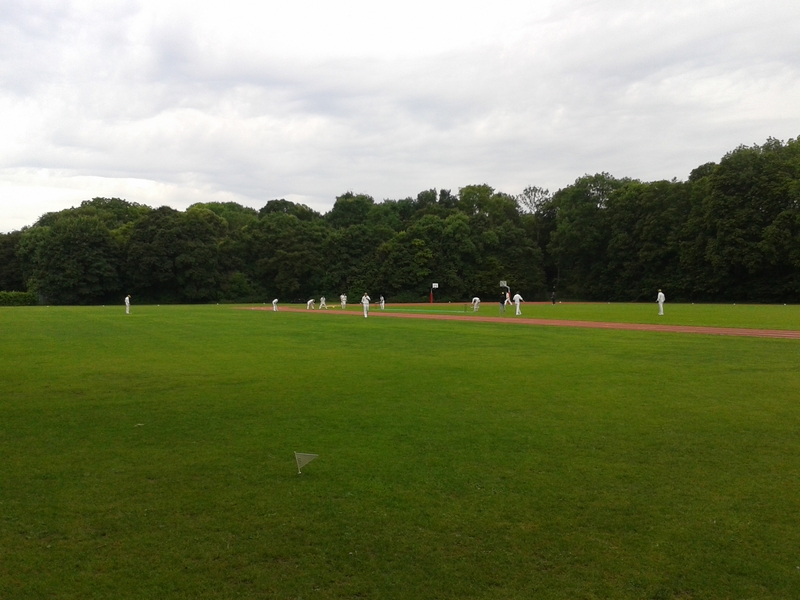 That's right, last weekend The Cricket Tier went international with a visit to Munich. We were there for a non-relaxing weekend of sun, laughs, culture and of course hofbrau beer. All was achieved and mainly in their excellent beer gardens. One in particular stood out, The Chinese Tower (Chinesischer Turm), which is the second largest beer garden in Munich and has about 7,000 seats. The Chinese Tower is situated in the English Garden (Englischer Garten) which is a large public park north of the city, it's also where Munich Cricket Club play their home games. I'd messaged them a few days before to say hello and let them know we were in town, they kindly confirmed back they were playing on the Saturday. With the size of the city and us planning to visit them the day after the night before, there were no guarantees. We arrived though (well eight of our party of thirteen) to be greeted by their badge, I loved it, quirky and most respectful. The game had literally just started as we wandered in to be welcomed by @MunichCC who was most appreciative of us visiting and paying an interest. Apparently they get a lot of people wandering in asking what's going on and why is everyone dressed in white? Thankfully we were not these people. We watched for around ½ hour and chatted away, they have sixty registered players but not a single German, the pitch was artificial but the pleasant surroundings and tranquillity of the area just superb. If you ever get the chance please go and visit them. Cheers lads! Here's the match report by the way. A week before Munich, The Cricket Tier had been away camping in Leicestershire too. Late on the Saturday afternoon, after arriving back at camp from a day out for which most part of it had rained, the Sun was now out. Cue an adults and kids cricket match for a couple of hours. Yes we were missing the dramatic last England v New Zealand ODI but who cared, we were using someone else's tent, a swing and a park bench as a boundaries. Reminding me of my youth, playing cricket anywhere and by however means possible, Great fun! Game over and time for a sit down, some cold beers and a BBQ – oh and at the time we discovered England were 52-5, we never gave up hope, thankfully. Speaking of New Zealand, they've come, gone but quite surprisingly not conquered, England however have come home, conquered and now ready for another battle #TheAussies #TheAshes. I'm not going to mention anymore on The Ashes just now, enough is being said so we'll just sit back, relax and wait for it to start. I must mention Brendum McCullum and his New Zealand team though, they were quite frankly a breath of fresh air. Despite not winning and despite being outright favourites to white wash England they've come upon a revitalised England. However, they have been truly outstanding to watch and under McCullum they've become pure entertainers in all formats of the game. In fact I'd go as far to say they were the perfect team for England to have just played ahead of The Ashes. We were at a low after the World Cup and then the draw in the West Indies, but playing them at their recent own game has given England a new lift. Things can only get better. Both Joe Root and Kane Williamson in all formats were superb too, very difficult to separate them as they have both stood up and performed for their team when required. Nothing is guaranteed but if these two can both go on to play for another 10 years then their teams can just build around them. Anyway, sorry, I can't help myself... BRING ON THE ASHES, enjoy!